The weekly tracking period for sales was initially Monday to Sunday when Nielsen started tracking sales in 1991, but was changed to Friday to Thursday in July 2015. This tracking period also applies to compiling online streaming data. Radio airplay, which, unlike sales figures and streaming, is readily available on a real-time basis, is tracked on a Monday to Sunday cycle (previously Wednesday to Tuesday). A new chart is compiled and officially released to the public by Billboard on Tuesdays. "Poor Little Fool" is a rock and roll song written by Sharon Sheeley and first recorded by Ricky Nelson in 1958. Eric Hilliard Nelson was an American rock and roll star, musician, and singer-songwriter. From age eight he starred alongside his family in the radio and television series The Adventures of Ozzie and Harriet. In 1957 he began a long and successful career as a popular recording artist. As one of the top "teen idols" of the 1950s his fame led to a motion picture role co-starring alongside John Wayne and Dean Martin in Howard Hawks's western feature film Rio Bravo (1959). He placed 53 songs on the Billboard Hot 100, and its predecessors, between 1957 and 1973, including "Poor Little Fool" in 1958, which was the first #1 song on Billboard magazine's then-newly created Hot 100 chart. He recorded 19 additional Top 10 hits and was inducted into the Rock and Roll Hall of Fame on January 21, 1987. In 1996 Nelson was ranked #49 on TV Guide's 50 Greatest TV Stars of All Time. 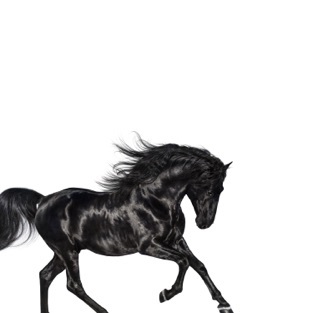 "Old Town Road" is a song by American rapper Lil Nas X. It was initially released independently on December 3, 2018, and gained popularity on social video sharing app TikTok. As a result, Lil Nas X was signed to Columbia Records, which now distributes the single. A remix of the song featuring Billy Ray Cyrus was released on April 5, 2019, and another remix featuring Young Thug is in the works. 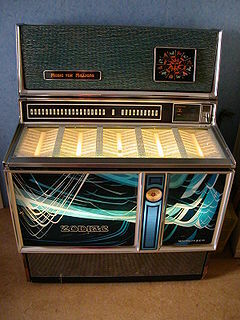 A jukebox is a partially automated music-playing device, usually a coin-operated machine, that will play a patron's selection from self-contained media. The classic jukebox has buttons with letters and numbers on them that, when entered in combination, are used to play a specific selection. Rock and roll is a genre of popular music that originated and evolved in the United States during the late 1940s and early 1950s from musical styles such as gospel, jump blues, jazz, boogie woogie, and rhythm and blues, along with country music. While elements of what was to become rock and roll can be heard in blues records from the 1920s and in country records of the 1930s, the genre did not acquire its name until 1954. Although officially all three charts had equal "weight" in terms of their importance, Billboard Magazine considers the Best Sellers in Stores chart when referencing a song's performance prior to the creation of the Hot 100. On the week ending November 12, 1955, Billboard published The Top 100 for the first time. The Top 100 combined all aspects of a single's performance (sales, airplay and jukebox activity), based on a point system that typically gave sales (purchases) more weight than radio airplay. The Best Sellers In Stores, Most Played by Jockeys and Most Played in Jukeboxes charts continued to be published concurrently with the new Top 100 chart. Hot 100 Airplay : (per Billboard) approximately 1,000 stations, "composed of adult contemporary, R&B, hip hop, country, rock, gospel, Latin and Christian formats, digitally monitored twenty-four hours a day, seven days a week. Charts are ranked by number of gross audience impressions, computed by cross-referencing exact times of radio airplay with Arbitron listener data." Digital Songs : Digital sales are tracked by Nielsen SoundScan and are included as part of a title's sales points. Streaming Songs : a collaboration between Billboard, Nielsen SoundScan and National Association of Recording Merchandisers which measures the top streamed radio songs, on-demand songs and videos on leading online music services. As many Hot 100 chart policies have been modified over the years, one rule always remained constant: songs were not eligible to enter the Hot 100 unless they were available to purchase as a single. However, on December 5, 1998, the Hot 100 changed from being a "singles" chart to a "songs" chart. 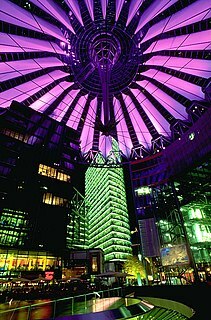 During the 1990s, a growing trend in the music industry was to promote songs to radio without ever releasing them as singles. It was claimed by major record labels that singles were cannibalizing album sales, so they were slowly phased out. During this period, accusations began to fly of chart manipulation as labels would hold off on releasing a single until airplay was at its absolute peak, thus prompting a top ten or, in some cases, a number one debut. In many cases, a label would delete a single from its catalog after only one week, thus allowing the song to enter the Hot 100, make a high debut and then slowly decline in position as the one-time production of the retail single sold out. Billboard, in an effort to allow the chart to remain as current as possible and to give proper representation to new and developing artists and tracks, has (since 1991) removed titles that have reached certain criteria regarding its current rank and number of weeks on the chart. Recurrent criteria have been modified several times and currently (as of 2015 [update] ), a song is permanently moved to "recurrent status" if it has spent 20 weeks on the Hot 100 and fallen below position number 50. Additionally, descending songs are removed from the chart if ranking below number 25 after 52 weeks. Exceptions are made to re-releases and sudden resurgence in popularity of tracks that have taken a very long time to gain mainstream success. These rare cases are handled on a case-by-case basis and ultimately determined by Billboard's chart managers and staff. The Hot 100 served for many years as the data source for the weekly radio countdown show American Top 40 . This relationship ended on November 30, 1991, as American Top 40 started using the airplay-only side of the Hot 100 (then called Top 40 Radio Monitor). The ongoing splintering of Top 40 radio in the early 1990s led stations to lean into specific formats, meaning that practically no station would play the wide array of genres that typically composed each weekly Hot 100 chart. 1 2 Billboard Staff (June 24, 2015). "Billboard to Alter Chart Tracking Week for Global Release Date". Billboard. Retrieved June 24, 2015. ↑ Trust, Gary (April 22, 2019). "Lil Nas X's 'Old Town Road' Leads Billboard Hot 100 for Third Week; Sam Smith & Normani, BTS & Halsey Hit Top 10". Billboard. Retrieved April 23, 2019. 1 2 Molanphy, Chris (August 1, 2013). "How The Hot 100 Became America's Hit Barometer". All Things Considered. NPR. Retrieved March 14, 2018. ↑ "CHART BEAT CHAT 12/2/2005". billboard.com. Billboard Music. December 2, 2005. Retrieved March 14, 2018. The main chart was Best Sellers in Stores, and that's the list Billboard uses as THE pre-Hot 100 chart. ↑ "Billboard Chart & Magazine Dates Now to Align Closer to Release Week". Billboard. December 19, 2017. Retrieved January 1, 2018. ↑ "How The Hot 100 Became America's Hit Barometer". NPR . August 1, 2013. Retrieved August 2, 2017. ↑ Mayfield, Geoff (August 4, 2007). "Billboard Hot 100 To Include Digital Streams". Billboard. Retrieved July 30, 2007. ↑ Trust, Gary (March 14, 2012). "Hot 100 Impacted by New On-Demand Songs Chart". Billboard. Retrieved March 14, 2012. ↑ Pietroluongo, Silvio (January 17, 2013). "New Dance/Electronic Songs Chart Launches With Will.i.am & Britney at No. 1". Billboard. Retrieved February 19, 2012. ↑ Sisario, Ben (February 20, 2013). "What's Billboard's No. 1? Now YouTube Has a Say". The New York Times. Retrieved February 20, 2013. ↑ Gary Trust (September 29, 2013). "Ask Billboard: How Does The Hot 100 Work?". Billboard. ↑ Trust, Gary (November 23, 2015). "Adele Tops Hot 100 for Fourth Week; Justin Bieber, Alessia Cara Hit Top 10". Billboard. Retrieved November 23, 2015. ↑ "Billboard Launches Canadian Hot 100 Chart". Billboard. June 7, 2007. Retrieved June 4, 2010. ↑ Trust, Gary (May 21, 2008). "Billboard Japan Hot 100 Finds Global Audience". Billboard. Retrieved June 4, 2010. 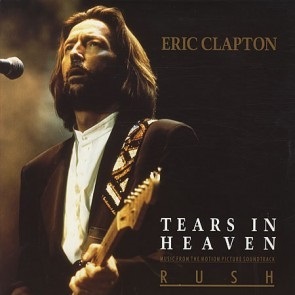 "Tears in Heaven" is a song by Eric Clapton and Will Jennings. Its lyrics were inspired by the death of Clapton's four-year-old son, Conor, who fell from a New York apartment building on March 20, 1991. It appeared on the 1991 Rush film soundtrack. Billboard Year-End charts are a cumulative measure of a single or album's performance in the United States, based upon the Billboard magazine charts during any given chart year. Billboard's "chart year" runs from the first Billboard "week" of December to the final week in November, but because the Billboard week is dated in advance of publication, the last calendar week for which sales are counted is usually the third week in November. This altered calendar allows for Billboard to calculate year-end charts and release them in time for its final print issue in the last week of December. Prior to incorporating chart data from Nielsen SoundScan, year-end charts were calculated by an inverse-point system based solely on a title's performance. Other factors including the total weeks a song spent on the chart and at its peak position were calculated into its year-end total. The same method was used for albums based on the Billboard 200, and songs appearing on the other charts. "Amazed" is a song by American country music group Lonestar, released in March 1999 as the second single from their third studio album Lonely Grill (1999). 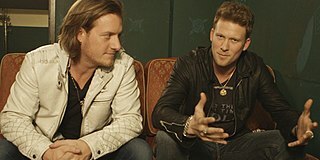 It is the band's longest-lasting number one single and biggest hit, spending eight weeks at the top of the Billboard country chart. The song was written by Marv Green, Aimee Mayo, and Chris Lindsey. A remix of the song was released in December 1999, and reached number one on the Billboard Hot 100 and number 2 on the Hot Adult Contemporary Tracks charts in 2000. The song has sold over 1,650,000 digital copies in the US as of February 2016. The Billboard Hot Latin Songs is a record chart in the United States for Latin singles, published weekly by Billboard magazine. Since October 2012, chart rankings are based on digital sales, radio airplay, and online streaming, and only predominantly Spanish-language songs are allowed to rank. The chart was established by the magazine on September 6, 1986 and was originally based on airplay on Latin music radio stations. Songs on the chart were not necessarily in Spanish language, since a few songs in English and Portuguese language have also charted. This article presents the discography of American pop and country music singer, Brenda Lee. Since 1959, Lee has issued 29 studio albums, 26 compilation albums, and 4 video albums. Lee has also placed a total of 72 singles on the Billboard Pop, Country and Adult Contemporary charts, with two of these singles reaching #1 on the Pop chart. The Polish music charts are provided by ZPAV, the Polish Society of the Phonographic Industry. The Billboard Hot 100 is a chart that ranks the best-performing singles of the United States. Its data, published by Billboard magazine and compiled by Nielsen SoundScan, is based collectively on each single's weekly physical and digital sales, as well as airplay and streaming. At the end of a year, Billboard will publish an annual list of the 100 most successful songs throughout that year on the Hot 100 chart based on the information. For 2015, the list was published on December 9, calculated with data from December 6, 2014 to November 28, 2015. The funk track Uptown Funk by British producer Mark Ronson, featuring American singer Bruno Mars, who co-wrote and voiced the lyrics was named the number 1 song of 2015, despite being released in late 2014. It spent the longest time at number 1 for the year, 14 weeks, and spent the entire year in the Top 40 region. This is also the joint-second longest time at number 1 for a single in the 57-year history of the Hot 100 post-1958 inception, after Mariah Carey and Boyz II Men's One Sweet Day, which spent 16 weeks atop the Hot 100 from 1995 to 1996. Luke Albert Combs is an American country music singer and songwriter. Combs has released one album for Columbia Nashville, which has produced five singles: "Hurricane", "When It Rains It Pours", "One Number Away", "She Got the Best of Me" and "Beautiful Crazy" all five of which have reached the number one position on Billboard's Country Airplay, which made Combs the first artist to have five number ones on the chart with his first five single releases. The Billboard Hot 100 is a chart that ranks the best-performing singles of the United States. Its data, published by Billboard magazine and compiled by Nielsen SoundScan, is based collectively on each single's weekly physical and digital sales, as well as airplay and streaming. At the end of a year, Billboard will publish an annual list of the 100 most successful songs throughout that year on the Hot 100 chart based on the information. For 2016, the list was published on December 8, calculated with data from December 5, 2015 to November 26, 2016. 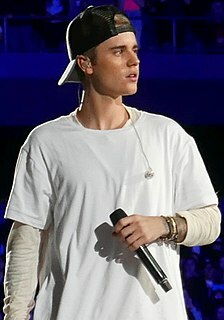 The 2016 list was dominated by Justin Bieber and Drake, who shared the top four spots, for the first time since 2009 the top four spots was dominated by 2 artists. 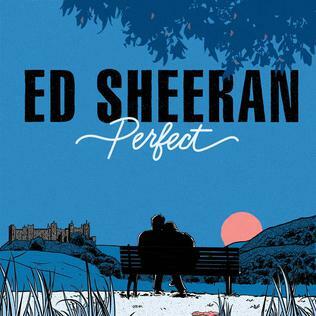 "Perfect" is a song by English singer-songwriter Ed Sheeran from his third studio album, ÷ (2017). After the album's release it charted at number four on the UK Singles Chart. On 21 August 2017, Billboard announced that "Perfect" would be the fourth single from the album. The song was serviced to pop radio on 26 September 2017, as the third single from the album in the United States. The song eventually reached number one on the UK Singles Chart and the US Billboard Hot 100 in December 2017. "Perfect" became the UK Christmas number-one song for 2017, and also peaked at number one in sixteen other countries, including Australia, Canada, Ireland and New Zealand.